While HyperXchange has been in the business for two years, the company now decides to add another feather to their cap by introducing Sell Phone Today. New Delhi, 2018 - When two years back HyperXchange entered the premium refurbished marketplace, it received a highly positive response. The platform had assuring and trustworthy services such as industry-leading 12 month warranty, assured buyback and doorstep service to name a few; all of this with a united mission of empowering customers in this domain. 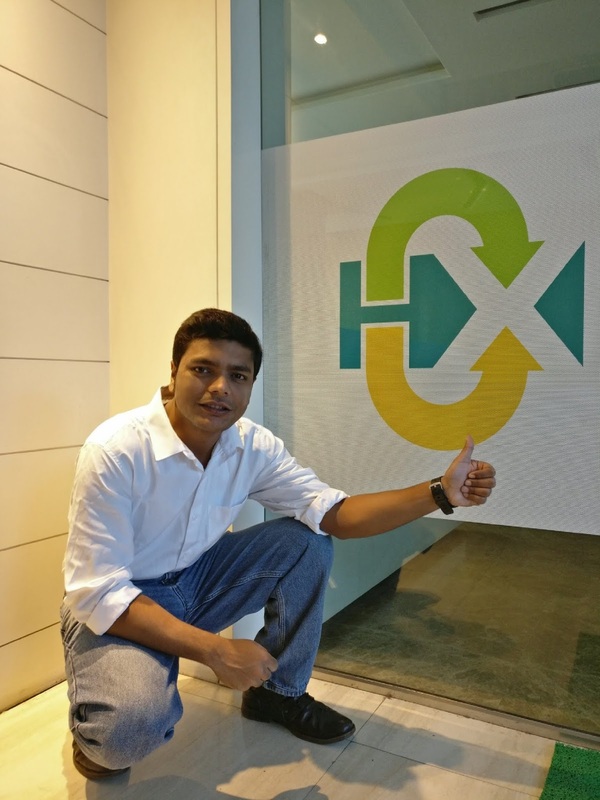 Dipanjan Purkayastha, CEO, HyperXchange, who has been the reason behind the success of several startups in the past, shares, HyperXchange has emerged as the largest Online to Offline player today in the ecosystem, with 3 out of every 10 phones sold are offline through its nation wide distribution network. Online is has tie-up with all the major marketplaces like Flipkart and Amazon etc. Satanik Roy, heading the Product Team at HyperXchange, mentioned that, all HyperXchange phones come in shrink wrapped HyperXchange branded boxes with industry leading one year doorstep warranty and the facility of providing the customer with loner phone during repair. He even added, We have 125 platform and hardware checks which ensure quality of every incoming and shipped products so that our customers get certified phones. HyperXchange currently is operating from its retail outlets across North, South, East, and West Zones. It has also partnered with Syska in order to open many more retail stores across India. It aims at selling 16 mobile phones around Rs. 10,000 every minute. After two years of successfully running the show, masterminds behind HyperXchange have now come up with Sell Phone Today. As the name suggests, Sell Phone Today is one of its kind portal to sell and exchange phones sitting at the comfort of one’s home. Now the idea may sound familiar but the portal has some of the ground-breaking features which have led to its popularity in less than first two weeks of going live. Sell Phone Today has an anti-counterfeit tags technology for all its products which prevents from any kind of forgery or scam to happen. To make it even more convenient for users, the HyperXchange also has launched a mobile version of www.sellphonetoday.com to ensure customer get accurate pricing for their existing mobile handsets. HyperXchange’s diagnostic AI assesses these products on quality parameters and repairs needed. All products then go through a stringent refurbishment process, a key reason we are able to provide an industry-leading 12 month warranty on our products. After refurbishment, the products are sold through our online and offline sales channels. In-house tech platform to diagnose the condition of phones for procurement from individuals and in bulk. The platforms runs through over 150 checks within a minute’s time, to set the purchase price and define repair cost. HyperXchange is Indias fastest growing O2O marketplace for premium refurbish gadgets,having lowest price guarantee; industry-leading 12 month warranty; automated diagnostic and price offer for buying old phones.